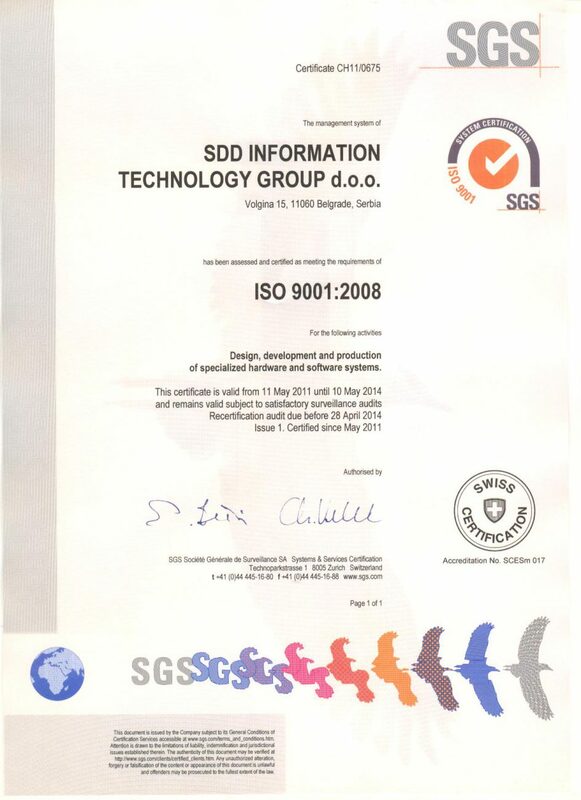 SDD ITG has implemented the standards of Quality management system ISO 9001:2008. Quality management system has been assessed and certified as meeting the requirements of ISO 9001:2008 by SGS, for the activities of design, development and production of specialized software and hardware systems. In order to provide the highest quality to its employees, partners and customers, SDD ITG will continue to improve its internal business processes and organization.